This week is Deaf Awareness Week run by Action on Hearing Loss (formerly known as RNID). 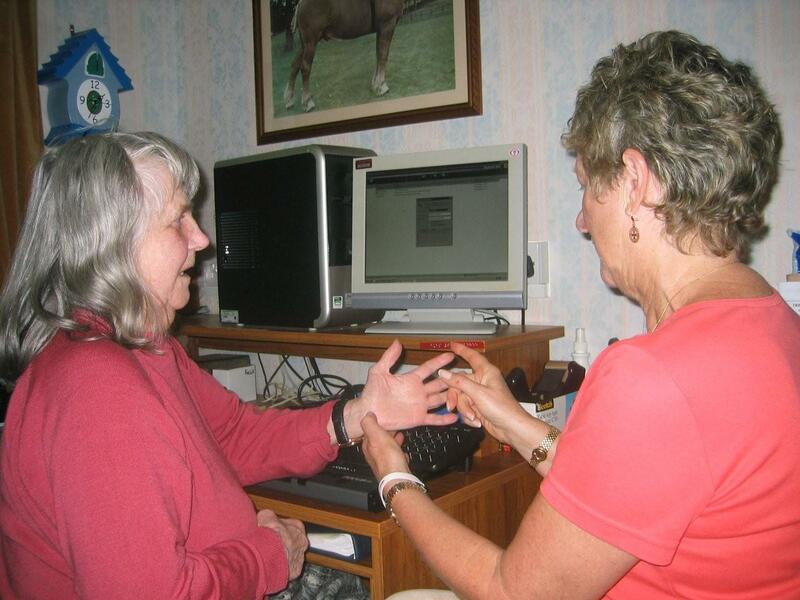 At UCanDoIT we have taught over 150 people who are deaf or hearing impaired how to use a computer. A UCanDoIT learner has a computer lesson using finger spelling. Why does this make a difference you are asking… our learners have learnt to use free programs such as Skype video to sign to deaf friends around the world, we have taught people how to search on sites such as YouTube or the BBC iPlayer for programmes with signing, how to email and how to shop and bank online. One of the problems we have encountered is finding tutors with computer knowledge and BSL skills. If you have these skills and would like to help us reach out to more deaf learners please get in touch. This entry was posted in Learners and tagged British Sign Language, BSL, deaf2013, Deafness. Bookmark the permalink.